This past weekend, the Overwatch League closed out its first season with an All-Star event that celebrated the best players in the league and their achievements. While the event was full of fun events like Lucioball and even an on-air talent match, one event stood out among the rest: the Widowmaker 1v1 tournament. The tournament pitted eight of the Overwatch League’s best snipers against each other to see who would come out on top. Only headshots dealt damage, and the only shots that could be fired were from down-scope — meaning no machine gun fire. It was a pure sniping skill competition, which made for an outstanding event to watch. Competitive Overwatch has grown leaps and bounds over the last two years as Blizzard finds new and innovative ways to show us the action of each match, but in its most hectic moments, Overwatch can still get a little muddy to watch. With ultimates getting tossed all around and Mercys and Genjis zipping around the map it can be more than a little difficult to figure out which team the Winston you just saw leap through the air was on. Which is why spectating Widowmaker players remains one of competitive Overwatch’s most consistently fun experiences. While you can’t always appreciate a well placed Winston bubble, everyone knows a good shot when they see one. While it may sound a little boring that the best event at All-Stars was simply an aim duel that could be seen in any other shooter, that’s far from the case. The jumps into the air that could only be accomplished using Widowmaker’s grappling hook, the speed that the players moved and shot at, and even the fact that they were each playing the same character with the same tools made sure that you could never forget that this competition was one unique to Overwatch. As exciting as it was to be reminded just how good a platform for different kinds of competition Overwatch can be, it was also refreshing to get to see the spotlight on individual players. Overwatch is, at its core, a distinctly team-based game. While there are moments of individual glory and impressive carry performances, none of them would be possible without the support of the entire team. But that wasn’t the case in the Widowmaker duel. Two players faced off and whatever happened was on them and them alone. The competition allowed us brief glimpses into the players’ personalities that we rarely get to see during a traditional match. 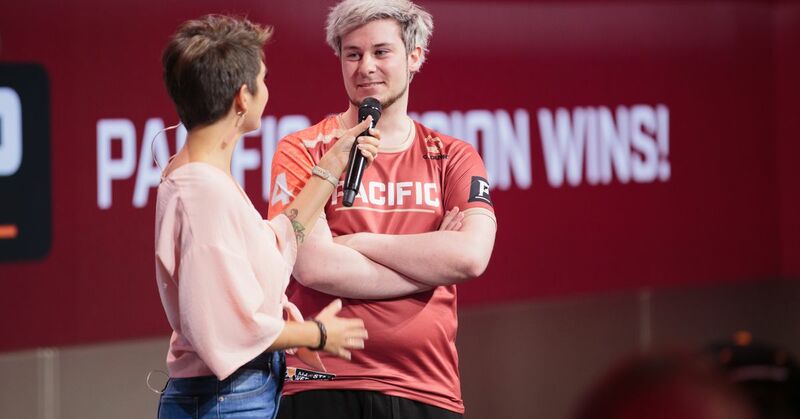 During the Finals, there was a welcome contrast between Lee “Carpe” Jae-Hyoek’s quiet determination and Lane “Surefour” Roberts’ energetic movements every time he hit a difficult shot. 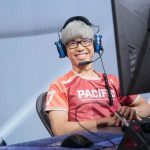 It’s the kind of personality that players in the Overwatch League are full of, but rarely get a chance to show off. In large part, this seemed to be the goal of the entire All-Star Weekend. Not just to honor those players that performed above their impressive peers, but to show us all who exactly those players are. While it was nice to see this over the weekend, it would be even better if Blizzard found a way to showcase the players more often. Why not do 1v1 tournaments during the season as well? 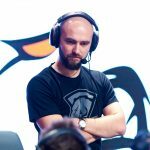 Right before each stage playoffs, Blizzard could take players from the teams that didn’t qualify and have them face-off on a different hero for each stage. Who wouldn’t want to see players take each other on as McCree or Pharah, or even a Doomfist boxing match? Along with simply being a lot of fun, and getting the rest of the teams in on the post-stage action, these 1v1s can serve as a great reminder — just like the Widowmaker tournament did — that fans are rooting for more than names on jerseys, they’re rooting for real people.